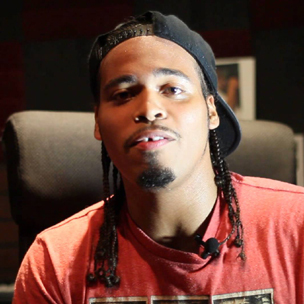 New York City emcee Chris Rivers has found himself following in the footsteps of his father Big Pun musically, but Rivers revealed that he hopes to disassociate himself from his father’s dark history as much as possible and even dropped the Baby Pun nickname for his current stage name, Chris Rivers. Rivers spoke in-depth about his father during an interview on HOT 97’s Real Late With Peter Rosenberg and further addressed forming his own identity as an artist while also touching on the willingness to be a better man than his father. Prior to addressing the name change, Rivers was questioned on how he felt whenever stories of Big Pun’s grim history were brought up. He explained that the stories are never “a shocker” since he witnessed most everything first hand. Chris Rivers’ appearance on Real Late With Peter Rosenberg shortly followed the June 3 release of his Wonderland Of Misery mixtape.